WASHINGTON – Leading Democrats in Congress are seizing on the tidal wave of legal troubles hitting President Donald Trump's allies to cast the Republican Party as deeply corrupt ahead of the fast-approaching midterm elections. Democratic leaders say they plan to make ethics a key pillar of their push to take the House majority this fall, arguing their party will serve as a check on what House Minority Leader Nancy Pelosi, D-Calif., calls the Trump administration's "brazen corruption, cronyism and incompetence." Trump and his allies suffered a triple hit Tuesday: The conviction of Trump's former campaign chairman Paul Manafort on bank and tax fraud, a guilty plea by his former attorney Michael Cohen that implicated the president in violating campaign-finance laws and the federal indictment of one of Trump's earliest congressional supporters, California Rep. Duncan Hunter. Prosecutors say Hunter and his wife used $250,000 in campaign funds for family vacations, private-school tuition and other personal expenses. In the News: In fallout from Trump controversies, Republicans warn Democrats will seek his impeachment. Democratic candidates are avoiding the word. In fallout from Trump controversies, Republicans warn Democrats will seek his impeachment. Democratic candidates are avoiding the word. A day after President Trump’s former lawyer implicated him in directing a crime, Democratic leaders sharpened their election-year attack on the GOP as the party of corruption. But in an effort to keep the electoral focus on bread-and-butter issues, they largely steered clear of any discussion of impeachment. Party leaders encouraged candidates and elected members to talk instead about demanding protection for the ongoing Justice Department investigations of Trump and his allies, offering a clear sign that they feel confident that grass-roots energy against Trump will show up at the polls without the need for a divisive rallying cry from the stump. House Minority Leader Nancy Pelosi (D-Calif.) sent a letter to her caucus members asking them to keep speaking about economic issues, while also urging them to call out what she described as the “cesspool of self-enrichment, secret money and ethical blindness” that exists in Washington under unified Republican rule. House Minority Leader Nancy Pelosi (Calif.) is moving full steam ahead on a Democratic strategy to paint the GOP as corrupt ahead of the midterm elections, a case that got new legs after the arrest of Rep. Chris Collins (R-N.Y.) on insider trading charges last week. Pelosi has decided to make ethics a core pillar of House Democrats’ push for the majority this fall, seizing on Collins’s arrest in a way she hasn’t done with past GOP scandals involving Trump administration officials. But with Collins, a sitting member of Congress and Trump's earliest congressional backer, Pelosi believes that Democrats have a ripe opportunity to draw a connection between the president and House Republicans who are on the ballot this November. With the recent one-year anniversary of the white nationalist march in Charlottesville those same hateful elements tried to rally again. In the face of this, we must stand in solidarity for a different vision of America. The vile ideology embraced by white nationalists and neo-Nazis will not win the day as long as people of good will work together to build a more caring, tolerant and just society. That must be our relentless pursuit. I am devastated by the violent events that took place at The Capital Gazette. Annapolis is a closely knit community and this tragedy is heart wrenching. Over the years, I’ve known many reporters at The Capital Gazette. I’ve always admired their commitment and service to our community, along with their outstanding professionalism. 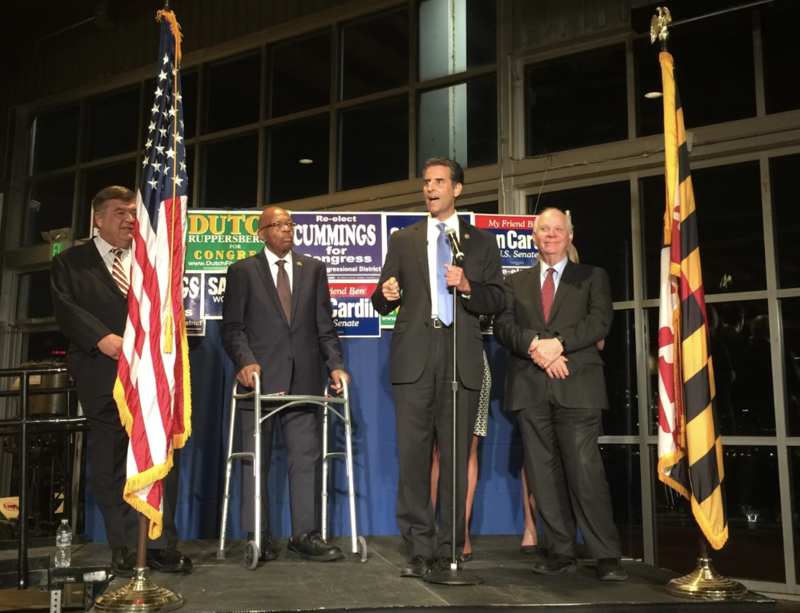 Tuesday marked an end to Maryland’s primary election season! Thank you so much to all the voters of Maryland’s Third Congressional District for your support. I’m excited to advance to the general election as the Democratic nominee. Onto November! I am proud to have been given the Moms Demand Action Gun Sense Candidate Distinction. 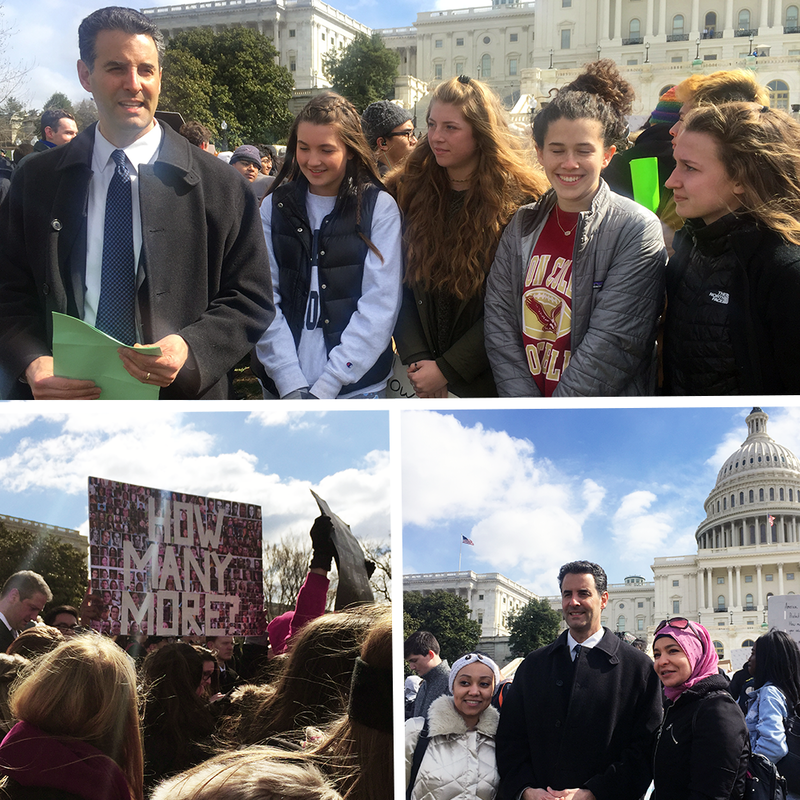 Thank you Moms Demand Action for your unwavering dedication to putting an end to the senseless gun violence in our country. This issue affects all Americans, and we need to make sure it is front and center during this election cycle. A month ago today, Americans watched in horror as another deadly school shooting unfolded before us, this time, at Marjory Stoneman Douglas High School in Parkland, Florida. Seventeen people lost their life that day, the majority of whom were high school students. Once again, the Republicans are full of thoughts and prayers, but don’t have anything to say when it comes to real reform. Thankfully, the students at Stoneman Douglas High School in Parkland, Florida have other ideas. They are turning their grief into anger and their anger into a cause. 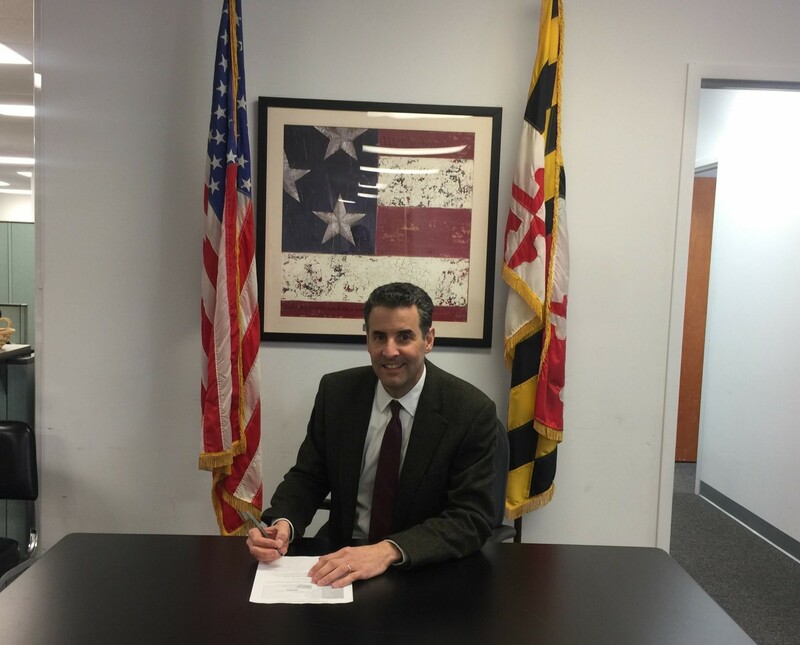 Last month, I made it official - I’m running for re-election. But it’s not worth doing unless I do it on my own terms. First and foremost, that means sticking with my pledge to not take a dime of PAC money. I’m the longest-serving PAC-free member of Congress in the country - this will be my fourth consecutive campaign where I say “no” to the PACs because I want to power my re-election with grassroots donors, not special interests. A Patriots Mission from Razan on Vimeo. Like all Americans, I am shocked by the violence that occurred in Las Vegas on Sunday night. My heart goes out to the victims of this despicable act, and I offer my sincerest condolences to their loved ones. We are so grateful for the countless individuals—both first responders and everyday citizens—who sacrificed their own safety to rescue others. They represent the best of who we are. I want to send my sincere condolences to the victims of the violent acts perpetrated by white nationalists in Charlottesville this past weekend. Like many Americans, I am deeply disturbed by the events that took place. They are an ugly reminder of the racism, anti-Semitism and bigotry that continue to exist in American society. As a response to these dark and hateful forces, we must recommit ourselves to preserving our core American values and to fighting the hatred and extremism of white nationalist groups. For the last few months, I've been fighting hard against Republican efforts to repeal the Affordable Care Act (Obamacare) and replace it with a TrumpCare proposal that rips health coverage away from millions of Americans. And I don't intend to stop fighting anytime soon. Today, 216 House Republicans voted to torpedo the Affordable Care Act and throw 24 million Americans off their health insurance. Make no mistake, the bill that passed today is structured to harm women, the poor, older Americans and those with pre-existing conditions. It is full of fundamental flaws that will raise premiums and reduce benefits. Getting big money out of politics is the most important reform we can fight for to ensure our nation can live up to the values put forth in our Constitution: that we are a republic of, for and by the people. I have dedicated my career to this cause because I believe our democracy works best when we are all involved and all our voices can be heard. That's why in every session of Congress since 2013, I've introduced the Government By The People Act. This legislation will take our government back from big money, billionaires and special interest groups and empower the American people to participate more in our elections. As of 10:30 this morning, my colleagues and I on the House Energy and Commerce committee had spent 24 hours reviewing the disastrous Affordable Care Act repeal bill introduced by Republicans on Monday. We had to stay up all night because House Republicans crafted this bill in secret and forced a committee vote on it earlier today. Republicans rushed this bill through our committee hearings because their bill to repeal and “replace” the ACA is bad for the American people, and they know it won’t stand up to scrutiny. After crafting the bill in secret, House Republicans going to attempt to force a committee vote on this major legislation less than 36 hours after its release with no public hearings or bipartisan input. They are rushing through a proposal that will cause millions to lose health care coverage and do severe economic damage. This repeal bill represents so much of what is wrong with our government - it’s written not to provide better health coverage for more Americans, but instead to benefit the wealthy and well-connected special interests. Along with new EPA Administrator Pruitt, Trump is trying to gut the federal funds to help clean up the Bay. Under his reckless proposal, the budget for the project would be reduced by 93%, literally tens of millions of dollars, gone.